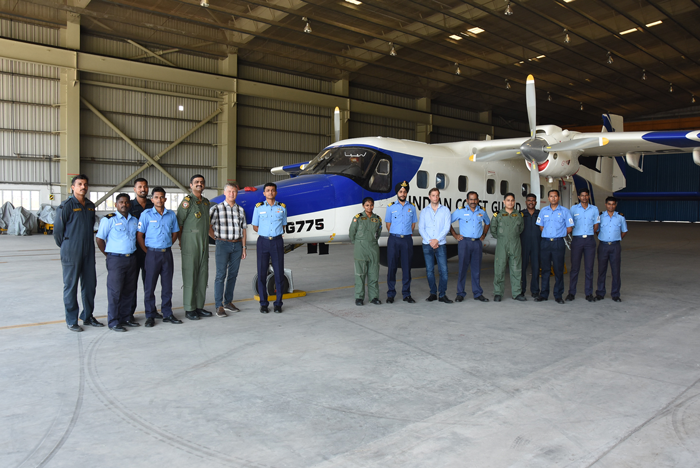 Personnel from the Indian Coast Guard and ST Airborne Systems in front of one of the Dornier 228 aircraft that has the MSS 6000. system installed. Last week ST Airborne Systems visited the Chennai base of the Indian Coast Guard. The purpose of the visit was to provide training for operators and maintenance engineers on the updated MSS 6000 systems.. The training consisted of preparatory classroom training and hands-on training in the aircraft. 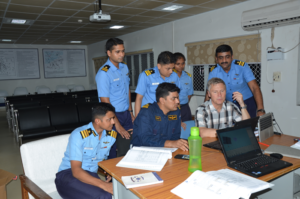 The new features were explored and interesting discussions were held on how to best use them to achieve effective missions and routines for the surveillance missions flown by the Indian Coast Coast Guard.